It is a known fact that all homes will, on occasion, run into complications with common household pests. While most of these insects and/or animals are nothing more than a nuisance, many have the capability of biting, stinging, and/or transmitting diseases. In addition to this, there are household pests that may actual cause structural-based damage. Naturally, this type of damage has the ability to detrimental impact the overall value of your home. By learning about the mental process and behaviors (psychology, if you will) of the most common household pests, you will be able to understand why they do what they do, will know how to limit their reproductive efforts, and will be able to drastically limit their survival rate. Not only will this eliminate the current pest population that you are dealing with, but, it will aid in preventing future populations from taking sanctuary in your home. In this two-part series, we will cover the mental processes and behaviors of the 6 most common household pests – ants, bed bugs, cockroaches, flies, rodents, and spiders. Most individuals that do not specialize in science will regard ants are being naturally hardwired and exhibiting inflexible behaviors. However, numerous scientific studies have confirmed that ants have the ability to display a high level of flexibility in the manner in which they behave – this is especially true as it relates to learning. As a group and as individuals, ants are successfully able to employ highly-sophisticated behaviors such as complexity in learning, paying attention, and the use of cognitive-based mapping. Ants are capable of using tools found in their environment, displaying a social hierarchy, and building highly complex structures. Ants have highly innovative mental processes and exhibit high-level behaviors. They are easily able to adapt to changes and complications within their environment. Once believed to be a basic parasitic pest with no ability to perform mental processes, the behaviors of the bed bugs and numerous studies now indicate that these are highly social insects that do, in fact, have the ability to communicate with others of their kind. The messages are not verbal, but, chemical-based. Most scientists refer to a chemical-based message that benefits both the sender and the receiver as “pheromones”. When the chemical messages are shared between bed bugs, the insects engage in social aggregation. 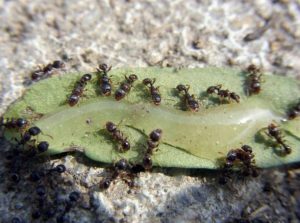 While it is true that the insects are totally dependent on the blood of a host to survive, interruption to their methods of aggregation could drastically reduce populations. 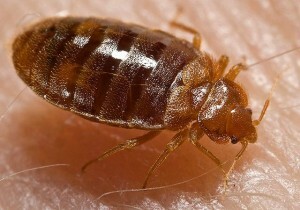 It has also been found that bed bugs do not like light. If you are attempting to eliminate these household pests, you may do so successfully with pest control services that eliminate the effectiveness of the chemical messages that the insects send and with light. In evaluating the mental processes and the behaviors of cockroaches, you will quickly find that they are highly social pests. Additionally, the insects are able to successfully communicate with one another by using chemicals. These chemicals are called “cutlcular hydrocarbons”. These insects live in large groups -particularly, with generations of the same relatives; however, they do not mate with those that they share genes with. Furthermore, these insects have the ability to move 3 mph. When you consider the chemical messages that they live behind for others, 3mph is a very large distance. If you see a cockroach, it is best to interfere with their ability to travel and their chemical communication system. In doing so, you should be able to successfully eliminate these nasty critters. Thank you for reading Part 1 to this series. Be sure to return next week to learn about the mental processes and behaviors of flies, rodents, and spiders.